I know pretty well what it means to prepare for a wedding, I did it. It involves a lot of planning, creative thinking and problem solving but apart from just preparing an event there are so many other things that you have to consider that not everyone will understand. You have to, and you will want, to look good on the day so you will do your best to achieve it. You will start watching your diet, exercising a little bit more and looking after your skin and body in ways that you may not have done if it wasn’t for your wedding. Well, this was exactly what I did. 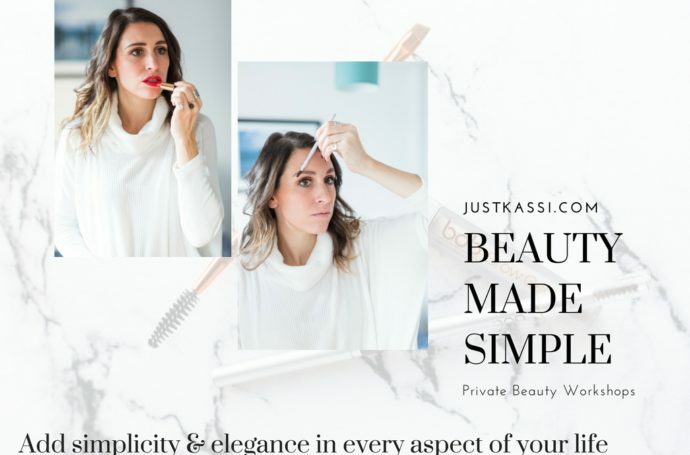 I watched my diet, I exercised, and of course, I researched for the best non-invasive beauty treatments that could help plump up my skin make me look fresh, less tired and would give me the bridal glow that everyone is expecting from a bride. 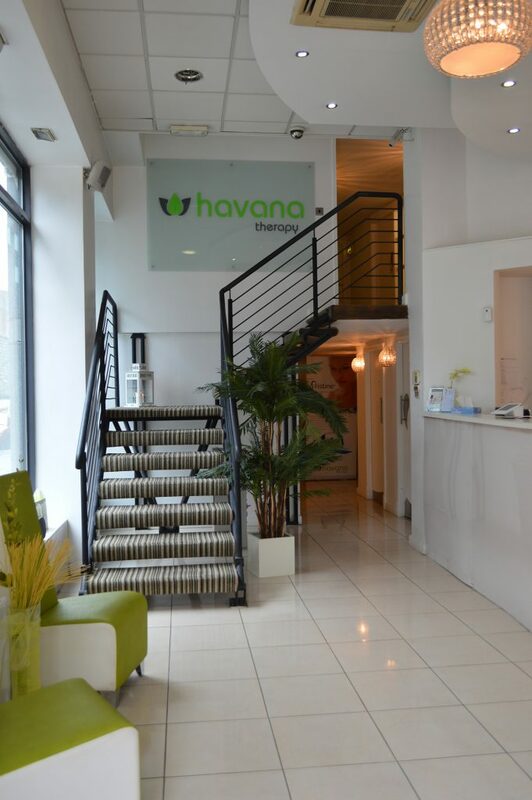 As I didn’t really know what was the best treatment for me, Havana Skin Clinic came to the rescue and after a consultation, I was advised that RF would be the best treatment for my face and body. RF which stands for Radio Frequency is a non-invasive treatment that helps plump the skin and even helps you lose inches off your problematic areas if your aim is fat loss. As it was my very first time doing a special treatment on my face and body apart from a casual facial I was a little bit anxious for the outcome but as it is non-invasive, the therapists calmed my nerves and looked after me very well, taking me through every step of the treatment. After the first session was finished I knew that there was nothing to worry about. Havana Skin Care clinic use a Viora machine for their RF treatments. Find out more about Viora here. RF as I was advised by the Havana Skin Care therapists, helps in the fat cell metabolism by reducing the size (swelling of fat cells helping them function correctly). RF helps in collagen Remodeling getting the skin thicker, tighter and toned, improve the overall texture of the skin. RF has a low grade of an inflammatory response, and in a way, it exercises the skin by activating the circulation by getting nutrients in and waste out. It also helps in angiogenesis, by helping strengthen blood capillaries network and using the old damaged vessels to rebuild the network. RF is one of the only treatments that actually still works till up to 6 months after the treatment, so you will still seeing results until a few months after your sessions have finished. In order to succeed this, you will have to do a course of treatments. Viora Radio frequency can be performed on all skin types, unlike laser. The difference between both laser and radio frequency is it is not attracted to chromophores like laser treatments. Radio frequency’s heat is delivered straight into the skin and it is essential as the heat wakes up the skin. The RF treatment altogether is a non-invasive treatment and it is not painful. To start the treatment the therapist applies a cooling gel on the face and the RF machine which looks like a small pistol passes through the currents on your skin helping it plump. It is not painful at all but sometimes it can get hot and this is why a cooling gel is applied to your face. Any time that you feel that the temperature is getting higher just let your therapist know and they will reduce it. 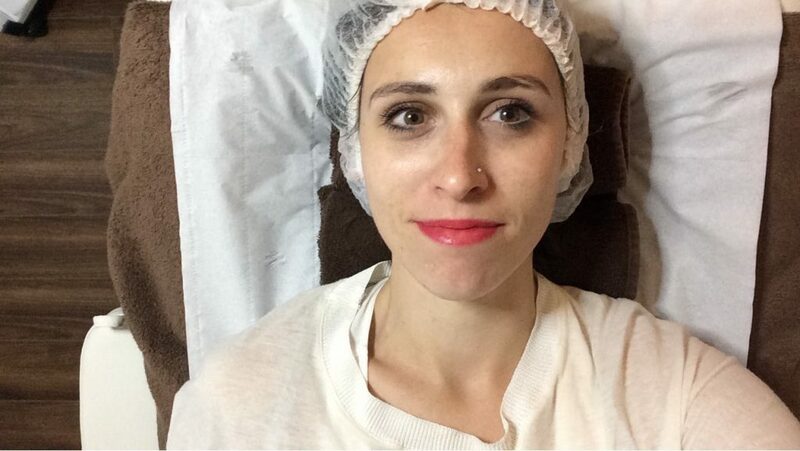 The treatment lasts about half an hour and the results you see is an immediate lift of your face. The result is not dramatic but my face looked fresher more plump and rejuvenated. In the Body RF, we focused on the thigh area as it has always been a more problematic area for me. With this treatment, you can see immediate results and from my very first RF treatment I dropped about 2cm and I know that because I measured myself before and after the first treatment. In every Body RF treatment, the therapist will take a photo of the targeted area and will do so after the treatment is finished so you can have a record of your progress. It is advised that you eat and exercise while doing the RF Body sessions so you see better and faster results. The Body RF treatment can last up to one hour and it is an overall easy treatment with no downtime. The RF Machine uses 3 different levels and the main target is to raise the temperature of the area treated so the radio frequency can work. The Viora machine provides heat and suction, which sometimes can be a little bit uncomfortable and in some cases, the suction can cause bruising and the heat redness. The redness is only temporarily and it calms down after the treatment. In my case, I only found the first one a little bit uncomfortable and I believe that this was because I was a little bit tensed as I was not sure what the treatment would be like. This can depend on the person and on the occasion and how you are feeling when you visit. Sometimes depending on your cycle, you might be more sensitive than others. The area treated will get red but this is something that will go away during the day. In my first ever Body RF treatment I had some bruising from the suction effect but this never happened in any of my other treatments. I believe that I got the bruising as I was a little bit tensed. Viora Radio Frequency is a treatment that delivers energy from two electrodes into the skin to achieve deeper benefits. Collagen, elastin fibres and fat cells are deeper in the skin and this is where the remodelling and restructuring of the skin happens. The vacuum technology used can achieve deeper penetration which benefits areas of the body where the skin is thicker. 90% of vessels in the skin are compressed so applying negative pressure increases vessel dilation and blood flow, improving blood supply. Fibroblast cells are also stimulated in this process, fibroblasts cells are responsible for the extra cellular mix and collagen production. (Information provided by Havana Skin Clinic). Huge thanks to Havana Skin Clinic for looking after me, please note that this is not a sponsored post, I was not obliged to post about this, I just was very happy with the process and outcome. Also huge thanks to all the girls looking after me and shooting this video.